In 1903, when a Boston company by the name of Gilette sold the first safety razor to American consumers, the first commercial deodorant had already been on the market for 15 years. But what on earth can these two industries teach us about the smartphone business in 2018? Well, I’ll tell you. Fast-forward to 2018 and free market capitalism. The geopolitical setup is rather different than it was at the turn of the century. We live in the era of fast fashion, single-use plastic water bottles and a smartphone cycle that seems to be getting shorter and shorter. If you want consumers to upgrade their (perfectly functional) products, you have to make it look better. And what’s better? More is better, obviously! It wasn’t long before razor manufacturers worked out that two blades was an easier sell than one, but it wasn’t until 1998 and the release of Gilette’s Mach3 that the arms race really started to pick up the pace. The product was a major hit, and it wasn’t long before Wilkinson Sword went one better with its Quattro razor (that’s four blades, which is one better than three). But by 2014, sales of razor blades had fallen 3.6 percent. In 2015, Korean manufacturer Dorco started selling razors with seven blades. I’m not aware of an eight-blade razor yet. It is a similar story with deodorant, or antiperspirant in particular, for those of you who distinguish between the two. Consumer deodorant has been around since 1888, but it wasn’t until the mid-20th century that it became big business. Between 1942 and 1957, the deodorant market exploded, increasing 600 times in size, and now a $70 million market. Is it just me, or are we already experiencing this ‘more is better’ syndrome when it comes to our smartphones and, in particular, the battle to be the best camera? This year, if the rumors are to be believed, the LG V40 will have five cameras. Samsung is rumored to be working on a four-camera phone and some say the four will all be on the back. 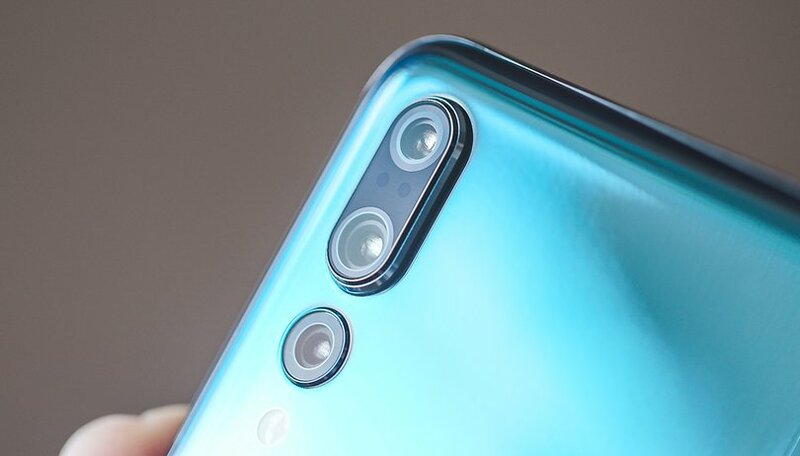 The Mate 20 Pro has leaked with three cameras and an LED flash in a square formation on the back. How long is it before we see a six camera device? Just this week, leaks emerged of new Android-powered Nokia phone that features five cameras in a circular position which I am calling the Ferris Wheel setup. If we are already at the penta-lens stage, where will it end? I can’t shift my pessimism when I see four or five cameras on a leaked or upcoming phone. Just like with my razor blades and my deodorant, I just don’t buy into this idea that more equals a better end product. In our 2018 Smartphone World Cup, which was based on camera performance, you voted the Google Pixel 2 the champion - a phone that has a rather modest single 12MP Sony sensor! It’s about time we all quelled the hype over how many cameras smartphones have, isn’t it? What do you think, does having more cameras result in better photo and video quality? Let’s learn a lesson from other industries and nip this in the bud before it gets out of hand, yeah? How many cameras do you need on your smartphone? One is enough, like on the Pixel 2. Dual cameras perform best overall. Give me a three camera setup, like on the P20 Pro. I want five cameras, like on the rumored LG V40. The more the merrier, I hope we see a six camera phone soon! GREAT article! When they started slapping multiple blades on razors I started laughing. What a joke! Same as multiple camera sensors on smartphones. What's the use? How about putting a LARGER sensor that can capture MORE light data, instead of these silly gimmicks? But...the 2nd sensor captures b&w data bla bla bla. Then why don't expensive d-SLR's have multiple sensors? Because they DON'T need them, as, they are LARGER and capture all the data needed. But, "more is better" More megapixels, more brightness, flashy colors...it's all marketing gimmicks. And consumers fall for it every year.